Two illegal workers were arrested after immigration enforcement officers, acting on intelligence, visited a takeway in Shoreham beach, a Home Office spokesperson has confirmed. 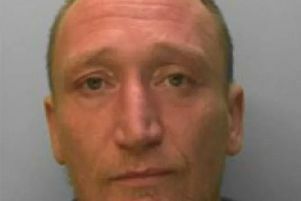 The officers visited Mahee Takeaway in Ferry Road, Shoreham Beach, at about 6.30pm on Thursday, February 23, the spokesperson said. The business was served a civil penalty referral notice in relation to two illegal workers, who were arrested, according to the spokesperson. The notice warns that a financial penalty of up to £20,000 per illegal worker found could be imposed, unless the employer can demonstrate that appropriate right-to-work document checks were carried out, such as seeing a passport or Home Office document confirming permission to work, the spokesperson said. If proof is not provided, this is a potential total of up to £40,000. Immigration checks found two men, Bangladeshi nationals aged 36 and 39, had overstayed their visas, the spokesperson said, adding that both had been detained while steps were taken to remove them from the UK. Richard Lederle, assistant director for immigration enforcement in the South East, said: “Those who use and exploit illegal workers face severe financial penalties. “We are happy to work with businesses in Sussex to ensure the right pre-employment checks are carried out, but those intent on operating outside the law will be found and will be punished. “Using illegal labour is not victimless. “It cheats the taxpayer, undercuts honest businesses and cheats legitimate job seekers of employment opportunities.